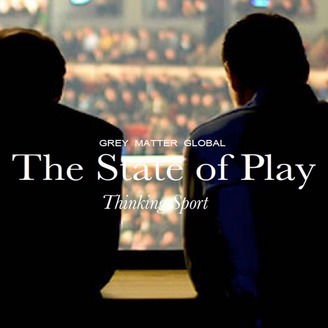 The State of Play is a quarterly podcast series is for leaders in sport interested in building new capacity/capability to thrive in their role (21st C). We use first principle science combined with 'best in class' commercial application to explore issues in the world of sport. Hello and welcome. I'm John Grisby Author of Games You Can Play - Experience the Meaning of Winning. I grew up in a small epicentre of sport in the United States. Wide open spaces, and mountains where elite athletes came from all over the world to live, train and compete. I started competing from a young age in multiple sports, was ranked state level and competed nationally at university. But then I left the world of sport, for the world business, living/working around the globe. Interestingly, I reconnected with my past - in a sense - as a leadership and performance consultant/coach helping organisations, teams, and individuals to achieve results. And at this is precisely the point where you're probably rolling your eyes back and thinking, 'okay, here we go again, someone else who's going to tell me yet another definition of ‘leadership’, ‘performance’ or ‘management’. I got just as confused about these subjects as you probably are now! I'm mean, everyone seems to be an expert or have a different opinion so I really empathise with you. Working in all these different countries, in multiple industries, including sport, with diverse people, I began to notice something. Everyone had their own definition of leadership, performance, development and of course, the meaning of winning. And each supported their actions with a particular philosophy, methodology, model, and approach. So I pose a question to you, Which leader’s philosophy are YOU going to use to get the best out of an individual, team or sport organisation? Why? When? How? Where exactly? And how do you design a strategy and implement that to action? Welcome to complexity in 21C sport. Did you think leading Manchester United F.C. and Bayer Munich F.C. are the same? The Boston Celtics and L.A. Lakers? All the Tour de France Cycling Teams? What about college sport and recreation/developmental sport? Of course not. Even teams within the same sport can be worlds apart in leadership strategy, because they all have their particular ‘DNA’. When you read my book Games You Can Play you will understand the subtle nuances of context and how to use science to design intelligent leadership strategy - from grass roots developmental to high stakes professional competition. And the shifting geographies of sport finance, business and talent. Leadership in sport is defined by the ability to solve difficult problems with strategies to perform, develop, manage and compete. If you're part of the next generation leadership in sport I invite you to read my book and learn how to use your Grey Matter differently, to really experience the meaning of winning.